The menace of the sea. And if you were to believe the media reports, the most dangerous killer in nature. As it happens, there is something else far more destructive, and far more deadly, lurking on our sunburnt porch, waiting to strike. 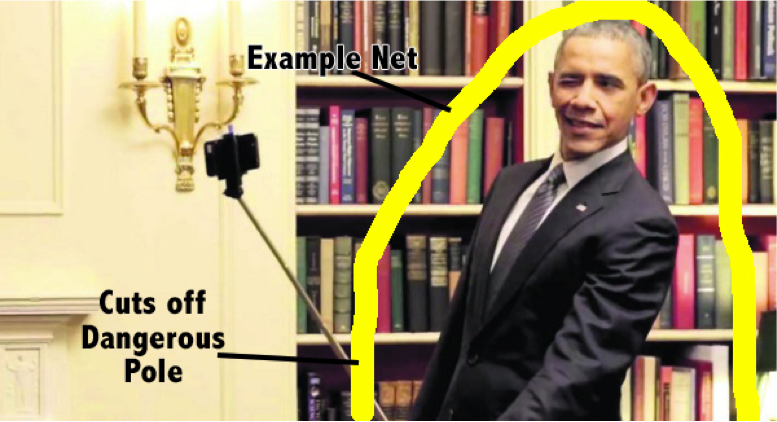 The selfie stick. Yes, it has been revealed that this year, selfie sticks have actually led to more deaths than the evil, toothy, pantomime villain of the deep. Now I notice that while NSW Premier Mike Baird is at his fancy Shark Summit, he and his team have not yet taken a stand against the selfie stick menace. But the obvious statistics make it a forgone conclusion; it can only be a matter of when. I mean, they are concerned that sharks might kill the tourist trade, and since selfie sticks are regularly prey on tourists, it’s a threat that cannot possibly go unchecked. Let’s kick it off with the super successful netting strategies that are used to stop sharks. 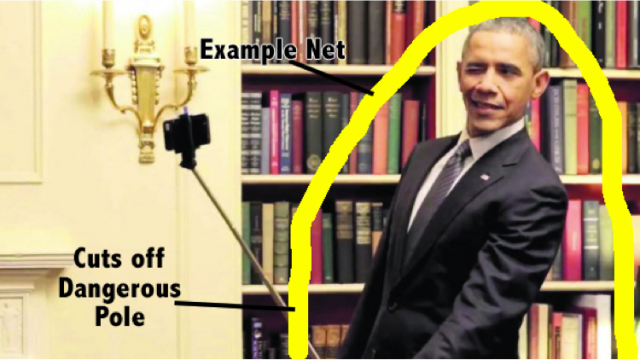 If every single person is individually surrounded by a net – one that hangs close enough that they are unable extend a selfie stick – surely the problem is solved? 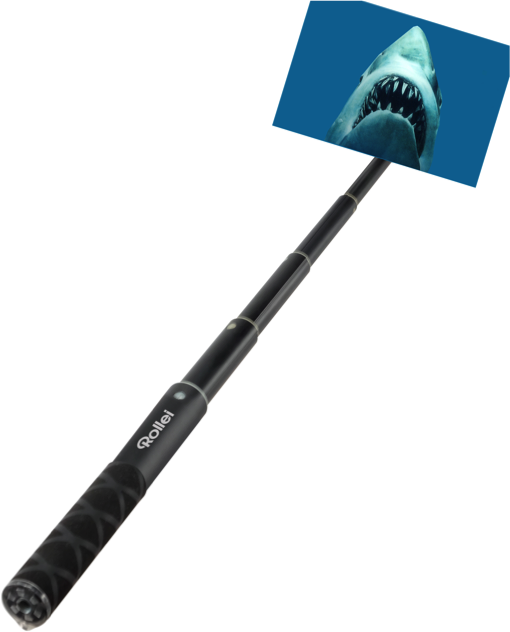 The WA Government are massive advocates of the shark cull (and many in NSW want the same), and if they are successful enough to “solve” the problem of shark attacks, why not apply them to selfie sticks? Every selfie stick caught should be systematically melted down to make soup ladles for the impoverished, unemployed portrait photographers of the world. I realise some of these strategies must seem extreme, but we must stop at nothing to eliminate the deadly threat of the selfie stick!